During the first few years of changing to the Bieler/Poole way of eating, I had some bouts of falling off the wagon as well as a few healing crisis. Since my “drug of choice” growing up was anything chocolate, this, of course, was also my treat of choice when I “went off my diet”. The combination of sugar, chocolate, dairy and/or wheat was very toxic to my system and would result in a sore throat within a few days of enjoying my treats. If I continued eating “my treats, mood swings would follow in short order from the blood sugar fluctuations and my energy would go up & down throughout the day. In those early days it could take me anywhere from one to two weeks to get totally back on track and the resulting overload would imbalance my system stirring up a host of my old symptoms. 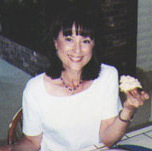 As with any addiction, eating just one bite was not an option and would result in many days to weeks of eating sugar before I went back to health supportive eating. When I would “fall off the wagon” Eileen would always tell me to be easy on my self about lapsing into my old eating patterns and to just eat a small amount of whatever protein was allowed on my diet every few hours accompanied by Bieler’s Soup for a day or so until I felt better. This worked like a charm most of the time to stabilize my blood sugar, moods, and energy in just a few days. Then I would go back to whatever my current eating plan was. If my increased sugar intake lasted longer than a week, a healing crisis(aka overload) was likely to occur, usually for me manifesting in a sore throat accompanied by a fever . Eileen would then recommend for me, diluted fruit juices from the allowed fruits on my current diet every few hours until my temperature returned to normal. This would balance the sugar overload and then after a few days with just Bieler’s Soup and small amounts of protein every few hours, I could return to my current eating plan symptom free. Once when I had an extended period of celebrations back to back during the Xmas Holidays, my crisis/overload manifested in the deeper layers as a mucous type cough. Eileen suggested that I have a diluted cup of grapefruit juice or pineapple juice in between my meals until the cough and mucous resolved…with of course liberal amounts of Bieler’s Soup to assist in restoring balance to my system. About four years into of eating this new way, feeling better than I had ever before, I went back to including my favorite treats first a few times a month, which escalated into a few times a week. After a few months of the frequent sweets, most of my symptoms returned and I went to see Eileen very distressed by this experience. Eileen explained that the old way of eating was what caused my health issues and if I went back to that old way again, the same symptoms would re-occur. Those foods were simply not good for my system no matter how many years I ate health supportively. It would only be a question of how much and for how long before the overload would occur. She also shared that eventually I would be able to enjoy treats for an occasional celebration. She pointed out that my body would tell me how much was appropriate if I paid attention to the subtle signals such as waking up a bit more tired, having less patience, a slight drop in energy and not sleeping as well..all signs of an impending overload. From that day forward, I resolved to look at this new way of eating as a lifestyle change which would support me in good health for a lifetime instead of just a ” temporary diet” until I felt better. ………….Next month, more of my favorite “recipes & remedies” from Eileen Poole. Posted on August 31, 2011 by Kaaren in My Favorite Recipies From Eileen Poole and tagged Bieler's Soup, Dr. Henry Bieler, Eileen Poole, Eileen Poole Intuitive Nutritionist, Eileen Poole Psychic Nutritionist, Eileen Poole Recipes, Eileen Poole Remedies, Henry Bieler, New Diet Remedies, New Recipes. Bookmark the permalink.